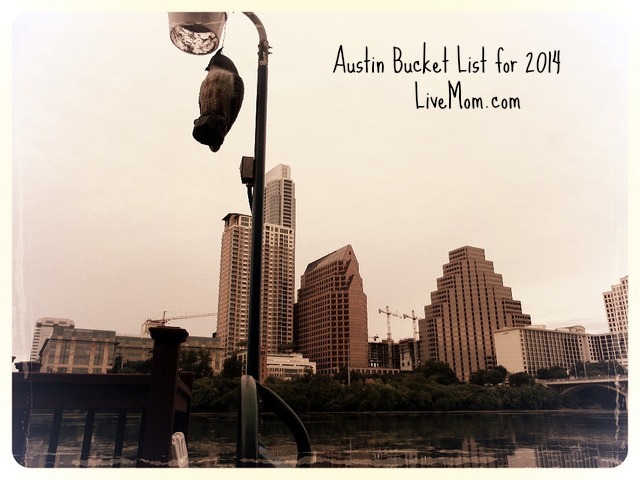 Here at LiveMom, we put out a call to a few of our friends to see if anyone else wanted to join us on our Bucket List Adventure for 2014. 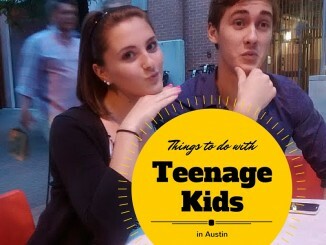 The idea was to get out there and do one thing we’ve always wanted to do in Austin…about one per month. It might be with kids, might be without. Either way, we’re going to report back to you on how it went. If you go to the page with all of our lists, you can see which ones we have completed and written about. We’re thrilled that Skye Kilaen joined us on our quest! Last we heard from her, she and her son checked out CRAFT. This time, the two of them went sky high to check another thing off their list. Let’s let her tell us all about it, shall we? 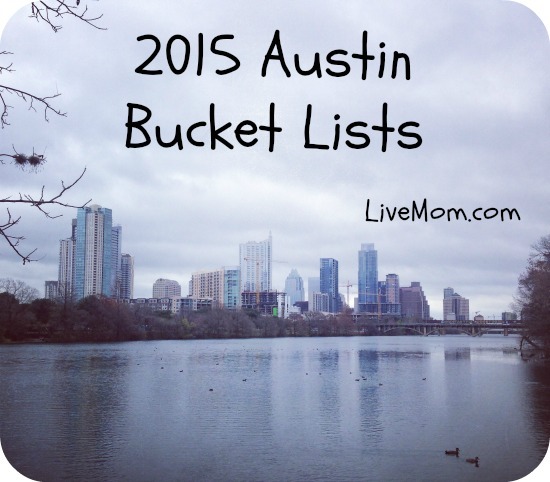 I was not lucky enough to be raised in Austin, but I have lived here for over 15 years. All that time, I have never seen the bats, or walked up to the top of Mount Bonnell. I’m not sure how I’ve maintained my Austin citizenship for this long without either one of these classic experiences! Telling our kiddo we were going to climb Mount Bonnell, though, turned out to be a bad choice of words. He was convinced we were going mountain climbing. And once we got past that misunderstanding, he could not stop asking questions. How tall is it? They have stairs? How many? Do they go straight up? What can you see from up there? How long will it take? I couldn’t answer any of them, obviously! So we went to find out. There are 106 steps, according to a sign at the top. If you’re trying to keep up with a kid, it’s quite a workout. The views, though? Totally worth it. Mount Bonnell overlooks the Colorado River, which during that part of its course is called Lake Austin, because we love to name parts of rivers “Lakes” in this town. Looking down, you can see lots of rich people’s houses with their own boat slips and whatnot, which led to some interesting discussions for us about what it would be like to travel by boat instead of by car for your main transportation. Hold onto your hat if it’s windy though! What I didn’t realize was that Mount Bonnell isn’t just the top of a mountain where you can stand and look out at the river. 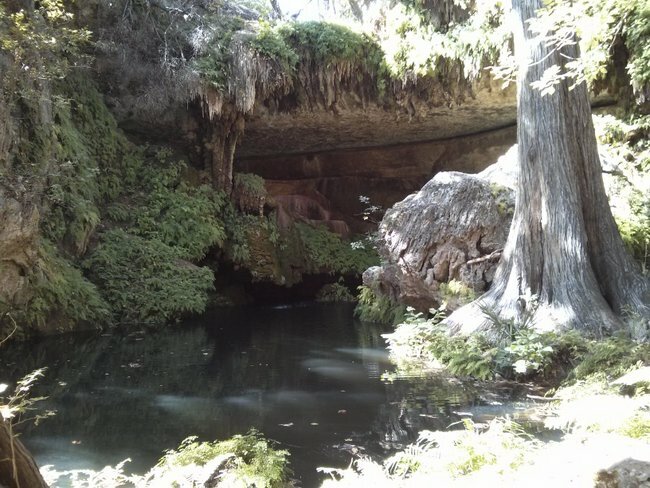 The top of it is technically called Covert Park and there is a nice little patio area, trails, and a few picnic tables. The signs are good about identifying different plant species that you can find up there, and there are some trivia questions on one side with answers on the other. My husband grew up in Austin, so of course his association with Mount Bonnell is that it’s where teenagers go to make out. I have a hard time understanding this because there is not enough park up there to get any privacy. Which didn’t stop one couple from engaging in PG-rated Public Displays of Affection at one of the picnic tables. I didn’t take a picture of that. You’re welcome! To me, this seemed like the perfect “get out of the house and into the fresh air” trip that didn’t require a day’s commitment, heavy-duty hiking, or brightly colored playground equipment. You definitely want to wear good shoes, though, and consider bringing a bottle of water. A trip to Mount Bonnell would also be good combined with a more leisurely visit to Mayfield Park to see the peacocks, if you’re so inclined, since you’re in the neighborhood anyway. 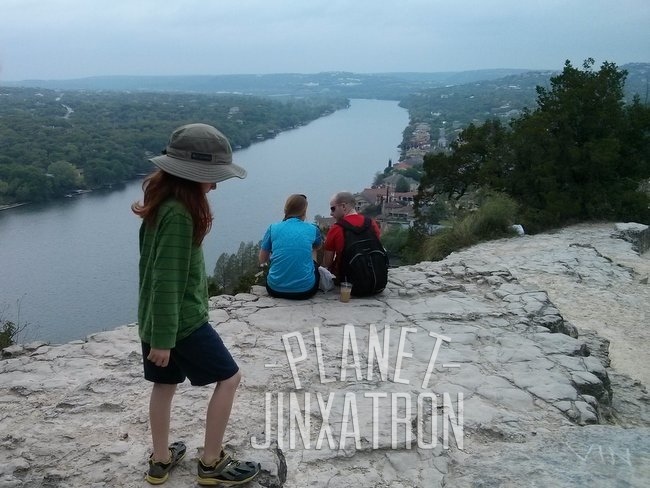 I remember our first time up Bonnell — such an Austin gem! We made out first trip out there last Summer and loved it!